There exists a plethora of tradable asset classes in the world, such as stocks, bonds, real estate and commodities amongst many others. Individuals buy and sell these assets for various financial and non-financial purposes. As technology continues to develop, more asset classes have begun to emerge, such as copyrights, insurance policies and derivatives, all of which contain a tradeable value when certain conditions are met. 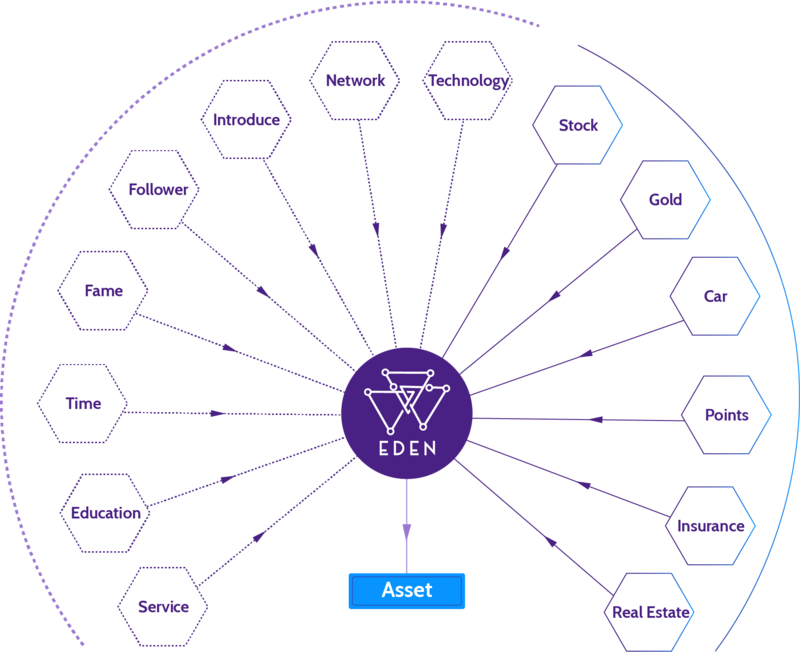 EdenChain is building a blockchain platform that can replace existing assets with blockchain-based tokens allowing their ownership to be registered; the necessary conditions can be specified through smart contracts according to the characteristics of the asset. Edenchain has recently raised $24mil USD in an ICO. EdenChain’s permissioned blockchain technology enables enterprises to customize their businesses based on their needs while retaining a high degree of control and privacy. EdenChain uses Merkle Tree and Namespace technology to solve performance issues by executing transactions in parallel, enabling it to handle an essentially unlimited number of TPS with affordable processing fee.